Interrupted ring is made of sterling silver. 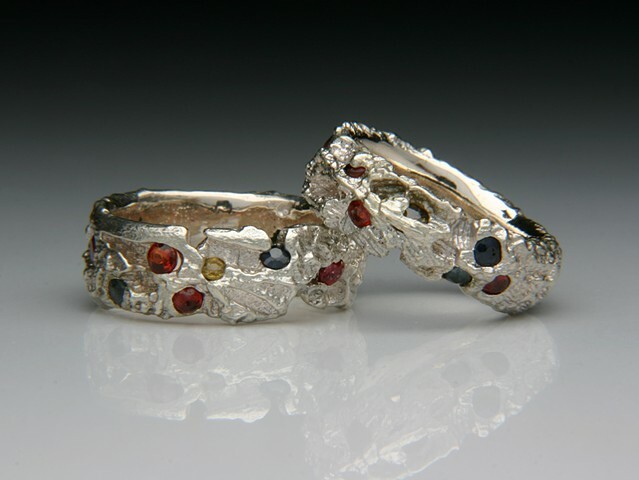 The stones are rubies and sapphires. Please contact me if you are interested in a ring.